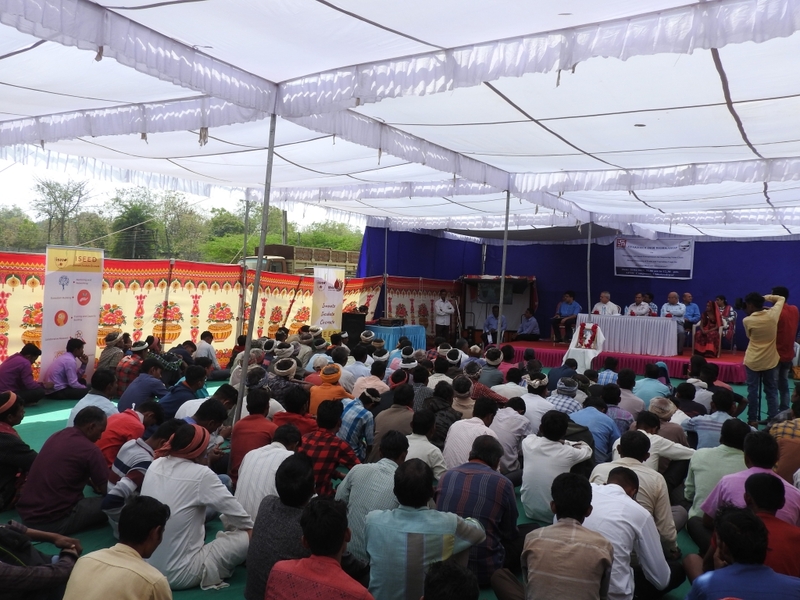 The Incubator for Social Enterprises and Entrepreneurs for Development (ISEED) at IRMA in collaboration with Shardadevi Gramudyog Utpadak Sahakari Mandli Ltd. (SGS) of Shroffs Foundation Trust (SFT), hosted a district level stakeholders’ workshop on “Agricultural Value Chains for Tribal Entrepreneurship” at the APMC compound, Chhotaudepur, Gujarat on February 26, 2019. The workshop was organized to bring awareness amongst various stakeholders of Chhotaudepur (CU) about projects and interventions carried out by ISEED and SGS on value addition to locally grown crops (tomatoes, custard apple) for sustainable livelihoods. A total of 154 farmers and 22 aggregators participated in the workshop. 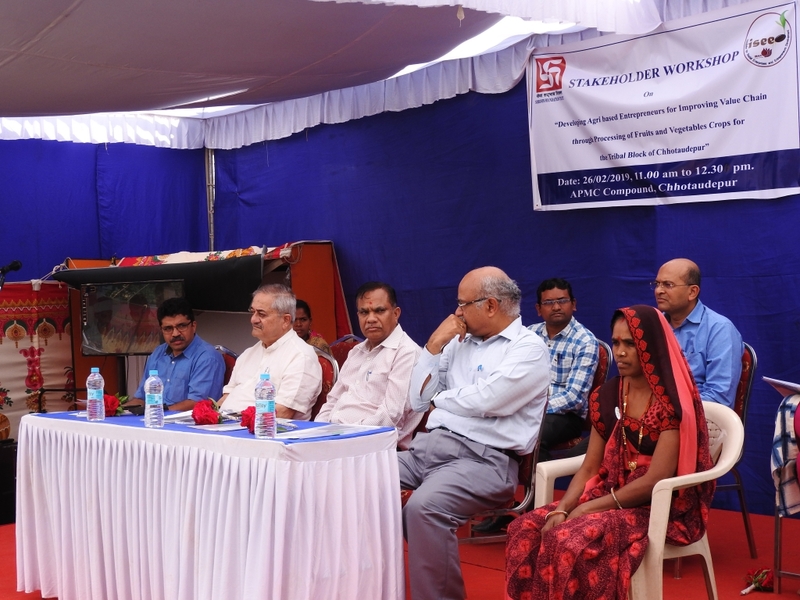 Shri M. D. Damor (Assistant project Administrator, Tribal Area Sub Plan) graced the event as the Chief Guest. Other dignitaries present were Shri Atul Shroff (Director, Transpek Industry Limited), Shri Rajiv Ranjan (Senior Branch Manager, BOB - CU), Shri Sandeep Shah (CEO, Aum Agri Freeze Foods), Shri Vikas Vaze (CEO, SFT), Ms. Rani Sudesan (Assistant Director Agriculture), Ms. Bhikhali Rathva (President, SGS) and Ms. Shardaben Rathva (Secretary, SGS). Prof. M V Durga Prasad, Ms. Shubha Khadke and Ms. Sweta Nagdev from IRMA were present. 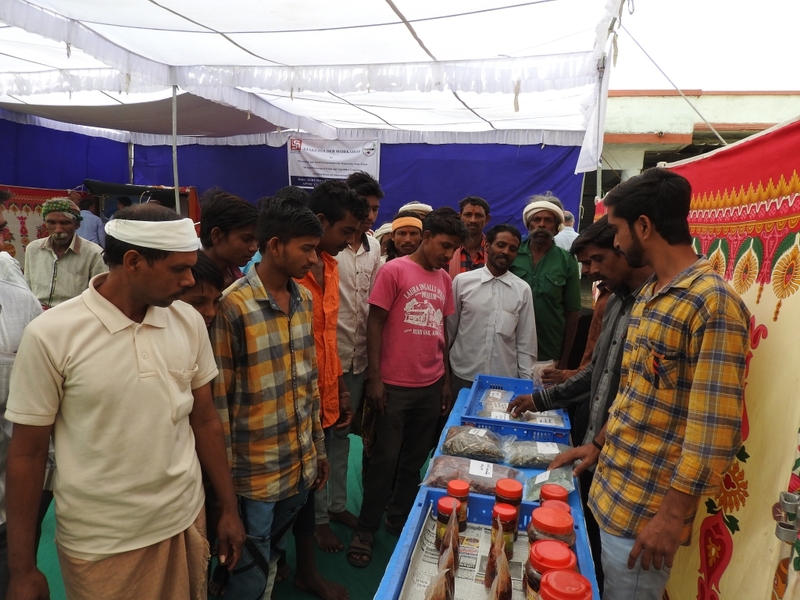 Beneficiary farmers and aggregators shared their experiences on semi-processing of tomatoes at household level and benefits in saving various cost related to selling of yields. Later an internal meeting was held between various stakeholders about the projects, field-level challenges and strategies to overcome said challenges. Brainstorming discussions were held on preparing a sustainable model in agriculture value chain in Chhotaudepur through public private partnership. You can contact ISEED on iseed@irma.ac.in.